Carrie A. Woody joined the law firm of Woody Law Offices, P. C. in 2010 in order to enhance the services of the firm and to assist with the expanding business of the firm. Her practice focuses on Orphans' Court matters, including estate planning and administration, wills, adoptions, guardianships, and special needs trusts. Carrie earned her Juris Doctorate from the University of Denver in 2010. She earned a B. A. degree from Villanova University in 2006. Between college and law school, Carrie did a year of service in Chicago with the Augustinian Volunteers and Catholic Charities of Chicago. At the University of Denver, Ms. Woody was a Senior Staff Editor on the Law Review and also worked as an Advanced Student Attorney in the law school's Student Law Office. She studied at the Summer Adoption Law Institute in Columbus, Ohio during the summer of 2009. Carrie currently serves on the Executive Board of the Delaware County Bar Association as the Recording Secretary. She will hold this position for 2018. 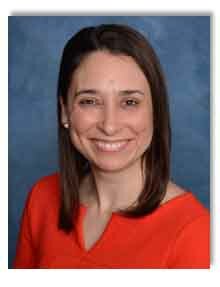 She is also an active member of both the Young Lawyers Division of the Delaware County Bar Association and the Delaware County Estate Planning Counsel. Carrie is from Wilkes-Barre, Pennsylvania, and currently lives in Upper Providence, Delaware County with her husband and young daughter. She is a member of St. Thomas of Villanova Parish in Rosemont, Pennsylvania where she and her husband are active in the parish's marriage ministry for the engaged.